But don't let that stop you! Drop in and see what we're about. Less snacks—but more singing. Wednesdays 7:00p to 9:00p, at National City Christian Church. See if we're the right fit for you. "We want bread, but we want roses too!" 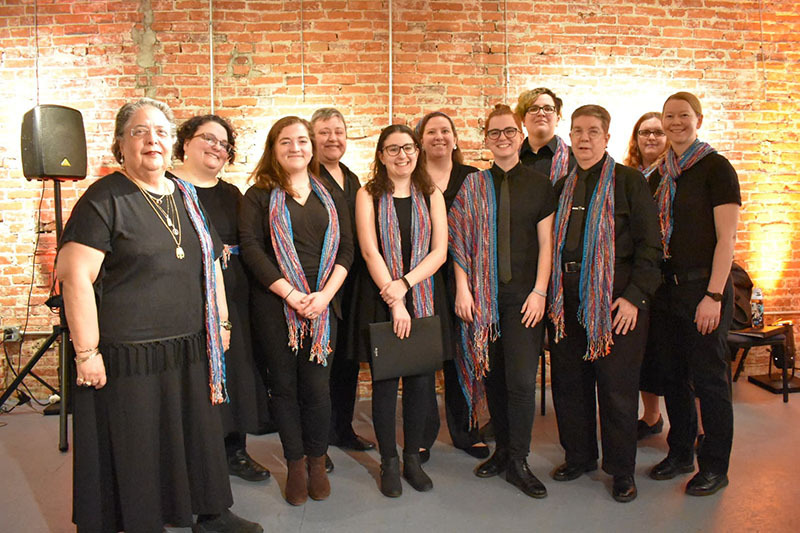 We began in 1978 as the DC Area Feminist Chorus, were known as Bread and Roses Feminist Singers from 1983 to the fall of 2009, and became Fortissima in October 2009. We have the same commitment to music and social justice regardless of the name. We are open to all sopranos and altos, regardless of gender, and without audition. Design by Webdezign; adapted by a Cosmic Fluke.